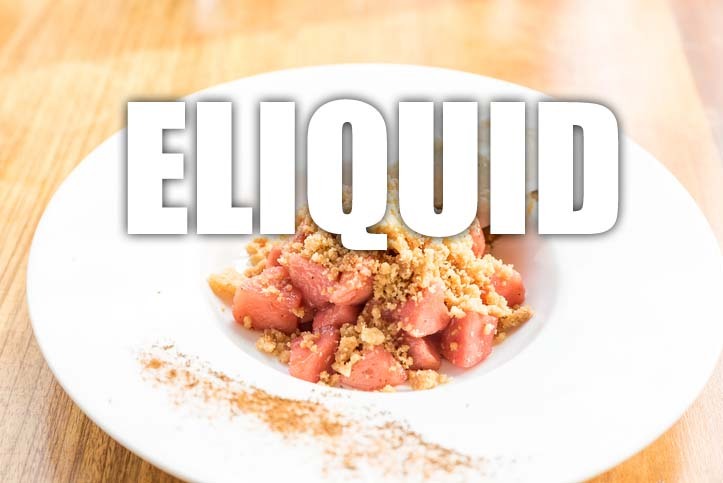 Apple and Pear Crumble flavoured UK e liquid is a delightful dessert e juice flavour, the apple and pear really pay off on top of a layer of crusty crumble, a great vape for anyone that likes dessert style e liquids. What Is Apple & Pear Crumble E Juice Like To Vape? When you inhale the apple and pear crumble ejuice your mouth fills up with the pear and crumble and is ten hit with the stewed apple. You can definitely taste the crunchy semi-sweet crumble. It's like having a dessert spoon of this pudding flavour in your mouth. On exhale you can really taste the fruit flavours more. The vapour leaves a sweet dessert aroma all around so you won't get any complaints from your partner.